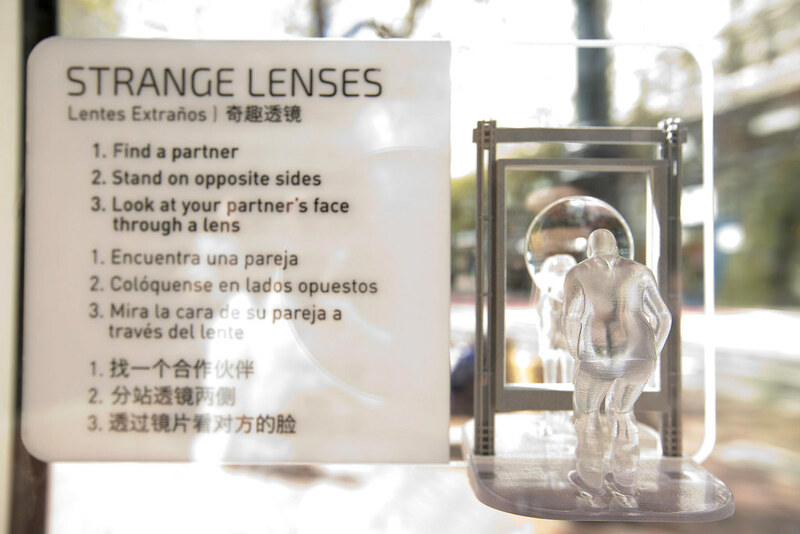 Strange Lenses by Robb Godshaw. 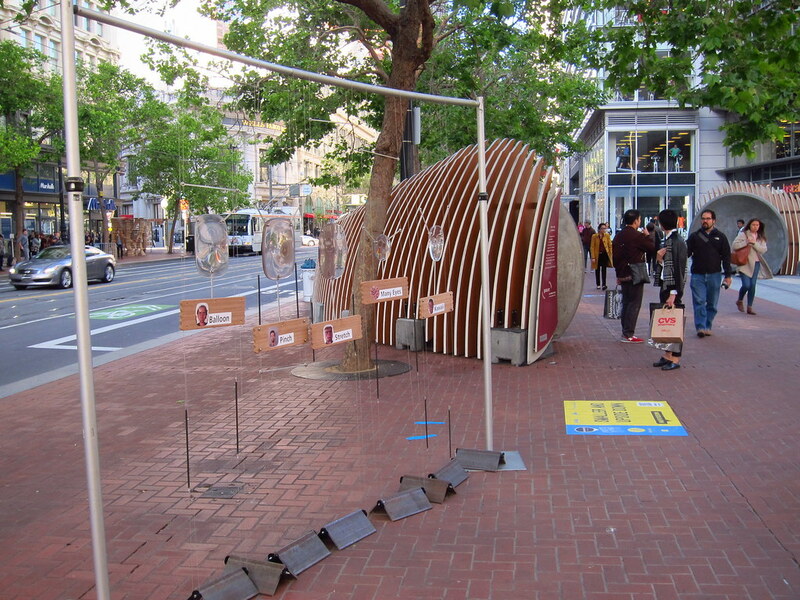 Yerba Buena Ln. 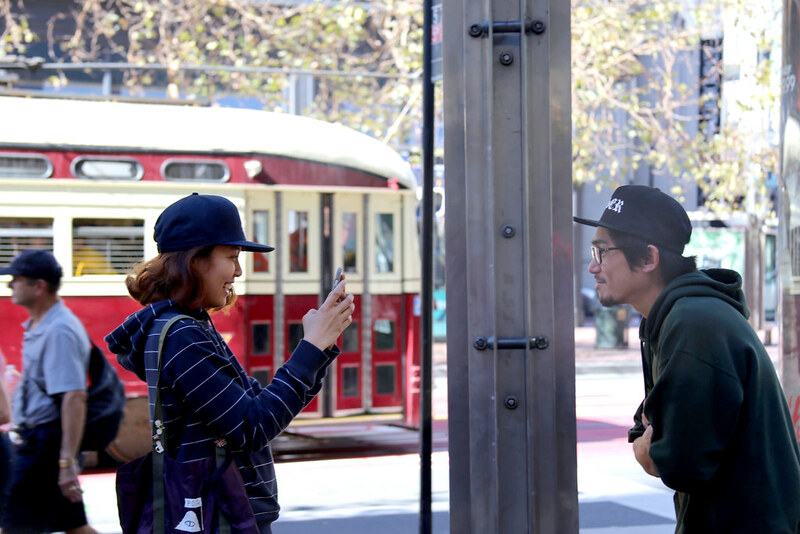 and Market St.
See people differently through distorted lenses. 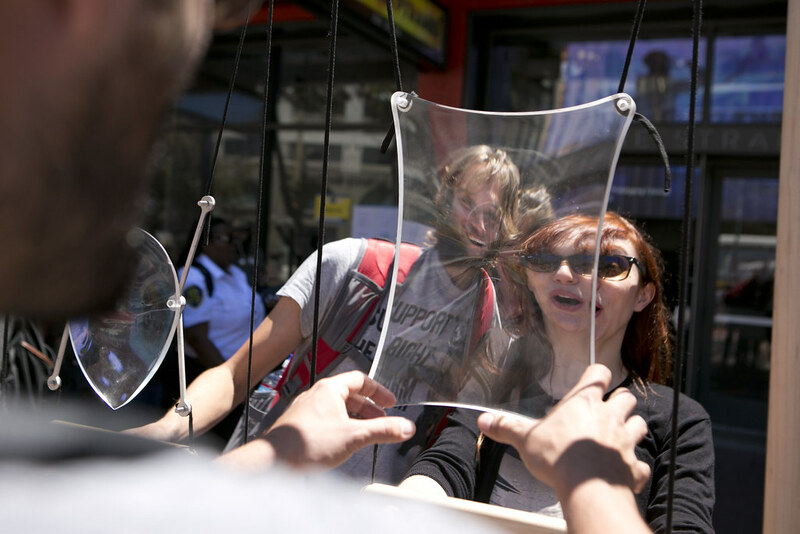 Strange Lenses is a set of lenses that distort the faces of pedestrians. 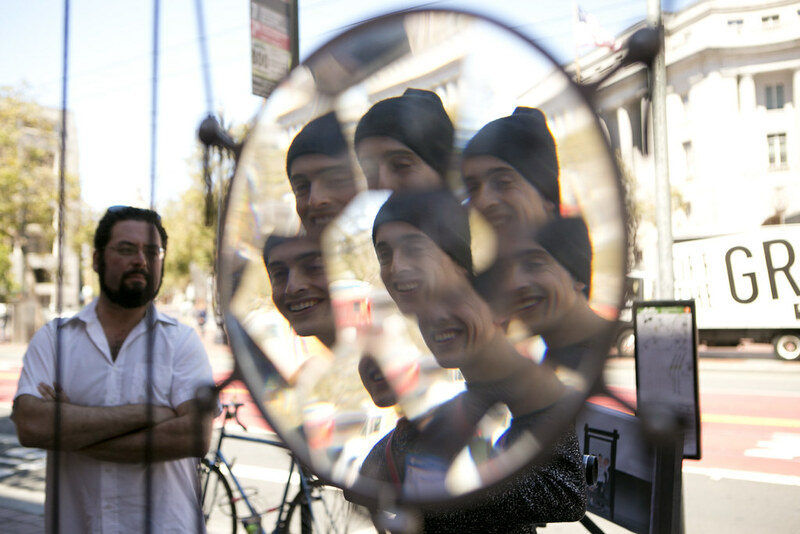 The lenses encourage interactions that make strangers into friends and lessen the anonymous nature of urban environments. 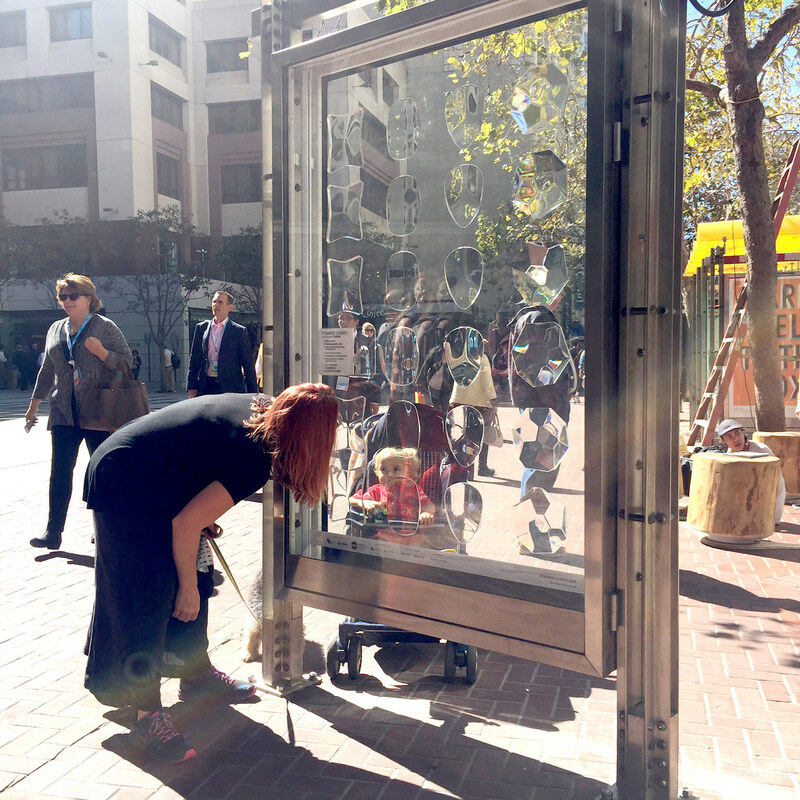 They are made with 3D printing, CNC machining, and computer simulation. 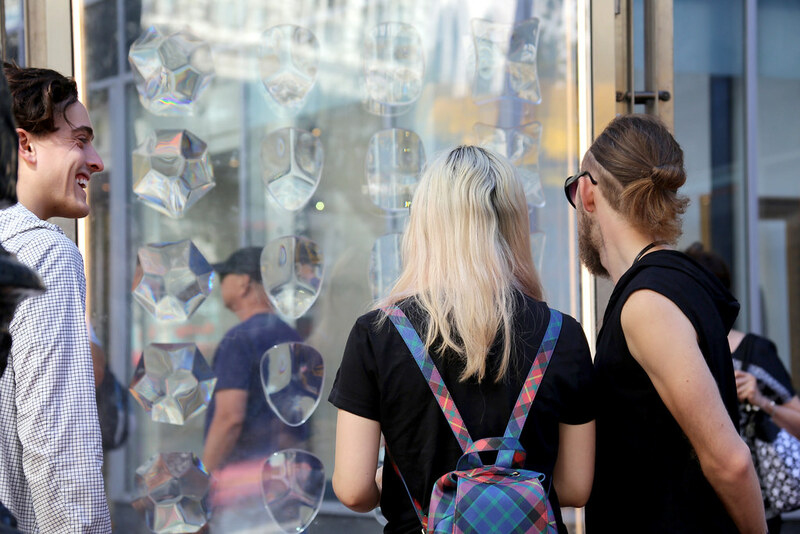 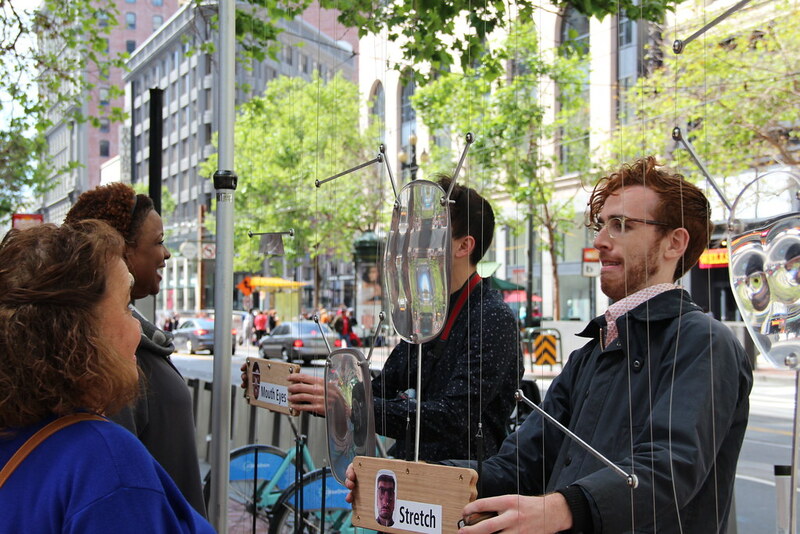 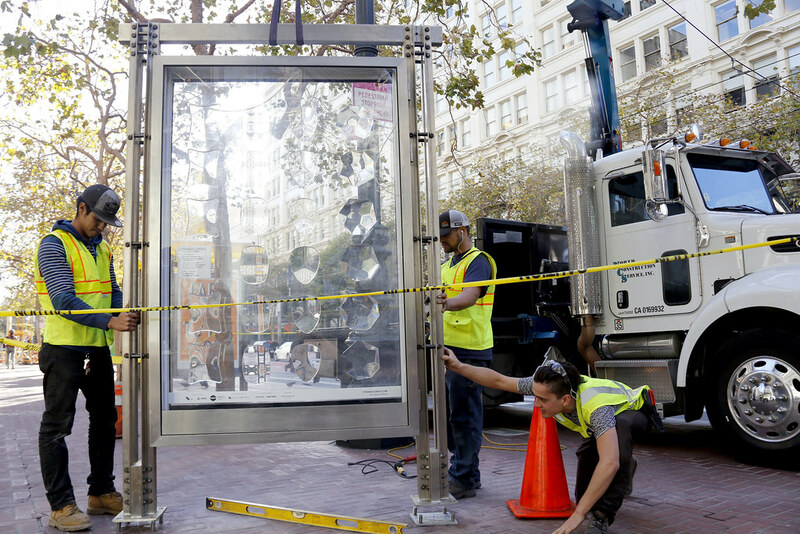 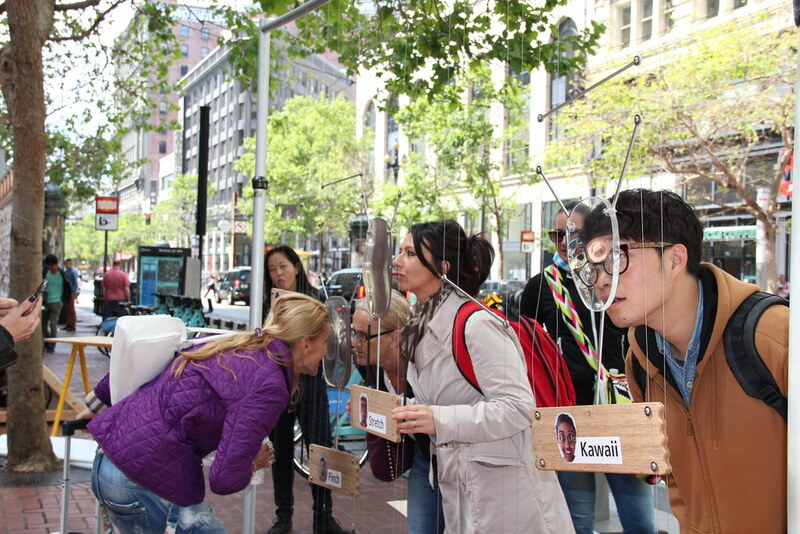 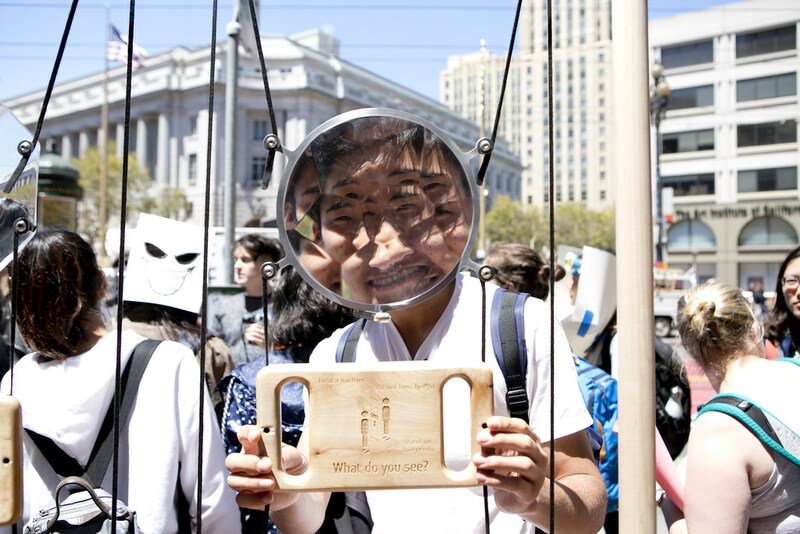 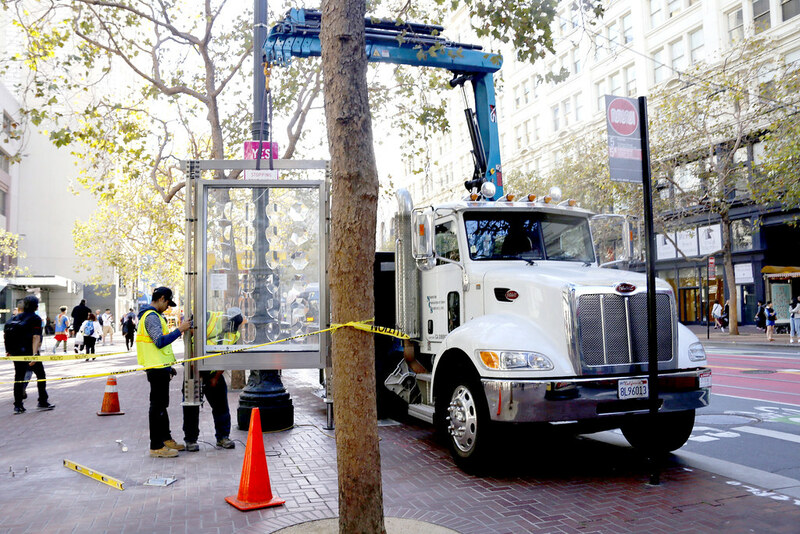 Originally built for the 2015 Market Street Prototyping Festival, Strange Lenses was invited back in 2016 to build a more permanent version of the project to install on Market Street for up to 2 years.